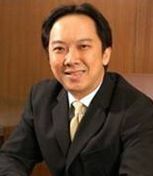 Mr. Sim is the managing partner of Sim Mong Teck & Partners. He has acted as counsel to numerous corporate entities since 1990. Mr Sim Mong Teck's area of practice cover immigration law and all aspects of real estate, property and conveyancing work including sale & purchase of residential, commercial and industrial properties by way of private treaty, auction or tender; commercial, residential and mixed development projects, leases, mortgages and consumer banking.